Not shown: the tangle of cables tucked behind that tidy box. 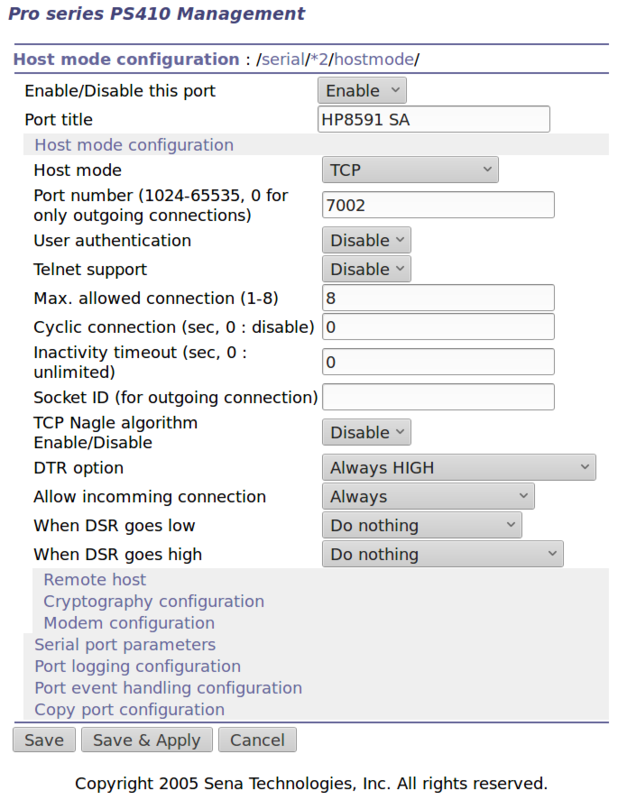 You can plug a serial terminal into the DE-9 connector, but it’s much easier to use the PS410’s web interface. 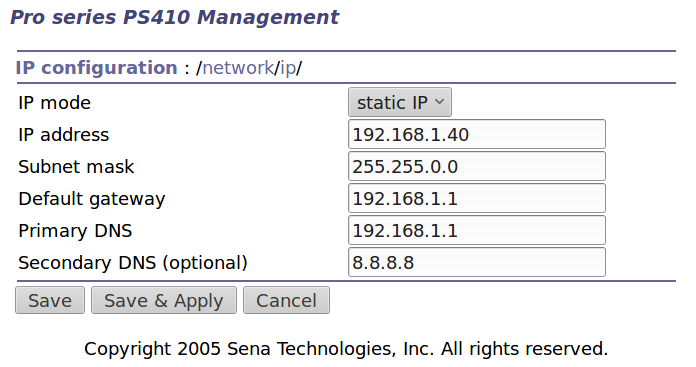 Yeah, Google DNS, if all else fails. The DTR and DSR defaults work out well; the other choices solve problems I don’t have. 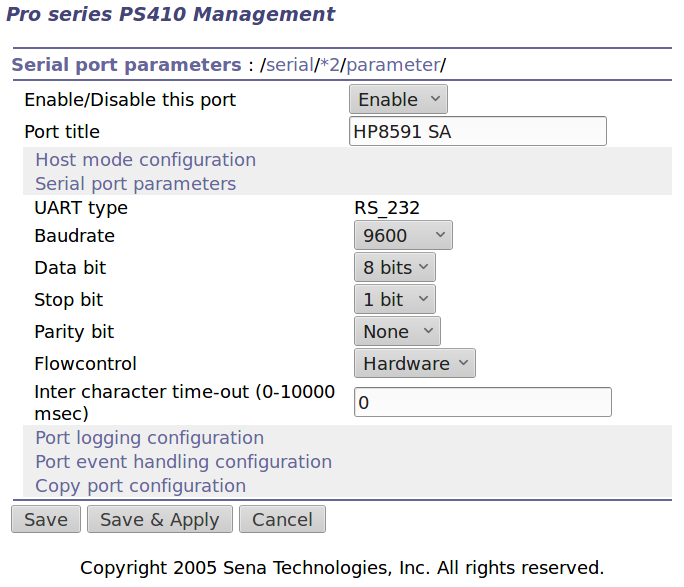 Indeed, the PS410 has a myriad configuration options best left in their Disabled state. Somewhat to my surprise, It Just Worked despite my blundering. 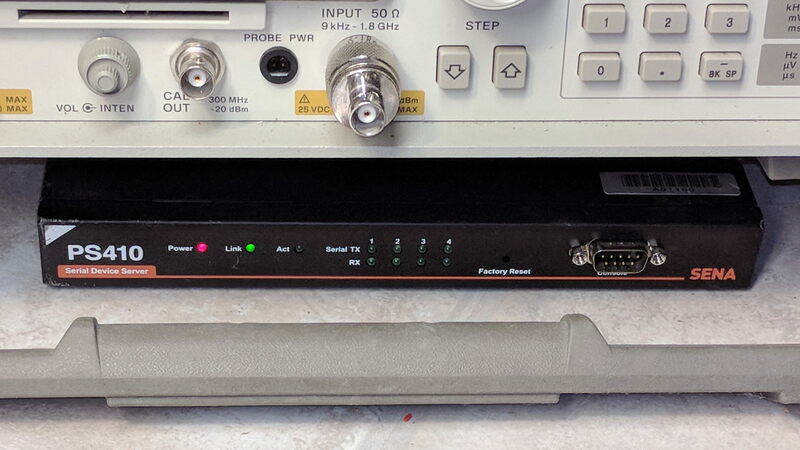 This entry was posted on 2018-03-23, 07:50 and is filed under Electronics Workbench, PC Tweakage, Software. You can follow any responses to this entry through RSS 2.0. Both comments and pings are currently closed.